Once you have finished your updates, you need to publish your page before the changes will take effect. Step 1: Scroll down to the bottom of the page to see the save options. Click on the Revision Information tab on the left. 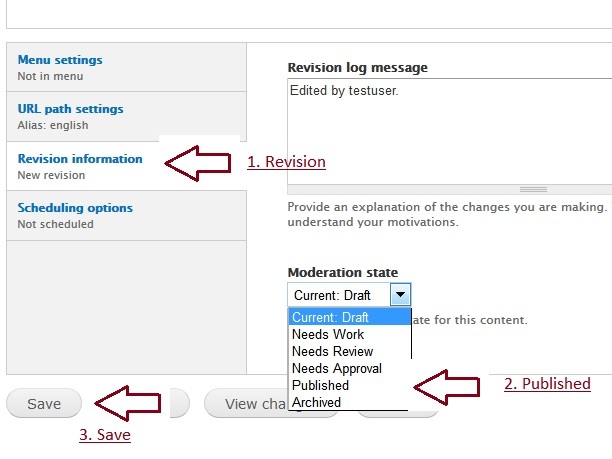 Step 2: Change the Moderation state from Draft to Published. Step 3: Click on the save button.